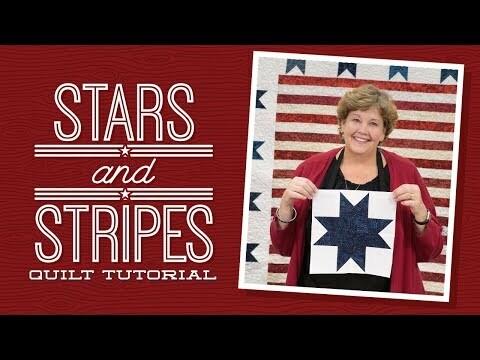 Digital Download - Stars and Stripes Quilt Pattern by Missouri Star - Missouri Star Quilt Co. - Missouri Star Quilt Co. Create a quick and easy quilt just in time for Independence Day and let your patriotic spirit shine! This inspiring pattern is perfect for your favorite veteran. Simple choose a roll of 2 ½” strips in a red, white, and blue palette and stitch up a touching tribute to the Grand Old Flag. Quilt pattern for 2 1/2" strips.